Have you found an online vendor selling Bundaberg 280? 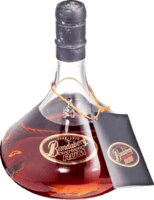 We finally cracked this over the weekend to sip with some other fine rums- unfortunately this was the first MDC offering we have tried which was not up to scratch. Far from refined or smooth, I was thankful this was a present and not purchased for its asking price. Will be an expensive base for mixer unfortunately as this is well short of the mark. For a short batch limited release product this is just not worth it.